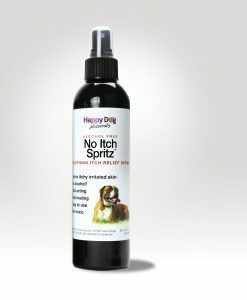 Our goal is to end your dog’s itching, scratching and suffering, decontaminate the environment, and start the healing process. 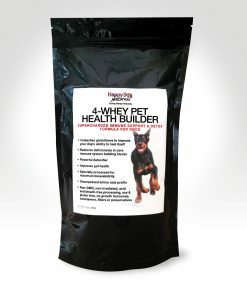 Proven all-natural formulas are designed specifically to help you win the battle against mange. 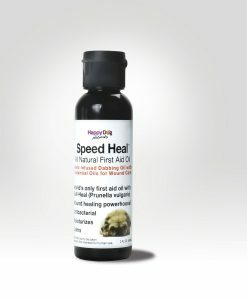 Our products include a mite destroying drench and shampoo, healing aids for your pup’s mange related wounds, itch relief products, and immune boosting supplements. For Demodex, Demodicosis, Demodectic Mange, Puppy Mange, Sarcoptic Mange, Cheyletiella Mange, Walking Dandruff and Red Mange. 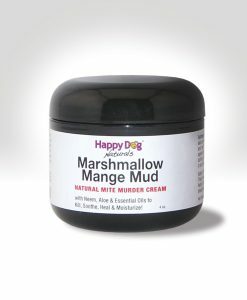 Not sure what type of mange your dog has? Use the Mange Symptom Checker. Use this to clear and flush skin follicles before Mite Avenge® treatment. 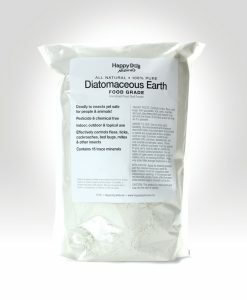 Important immune support for dogs with Demodectic mange with properties that assist all 4 Immune pillars. 12 oz. 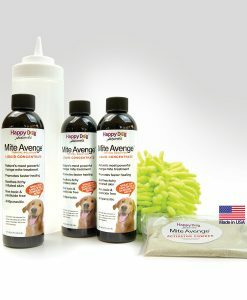 For the occasional maintenance treatment that is sometimes necessary for dogs with Demodectic Mange. 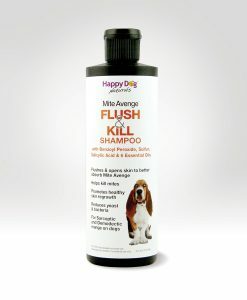 Can also be used if additional bottles are necessary when treating large dogs for all types of mange. SARCOPTIC MITES: The safest fastest way to eradicate Sarcoptic Mange. Goes beyond eliminating mites — works to help other problems related to mite damage. All natural ingredients. CHEYLETIELLA MITES: The safest fastest way to eradicate Cheyletiella Mange. Goes beyond eliminating mites — works to help other problems related to mite damage. All natural ingredients. 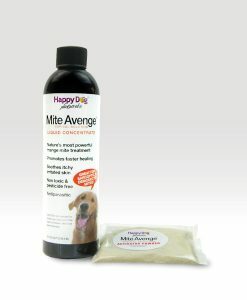 DEMODECTIC MITES: The safest fastest way to beat Demodectic Mange. Goes beyond eliminating mites — works to help other problems related to mite damage. All natural ingredients. 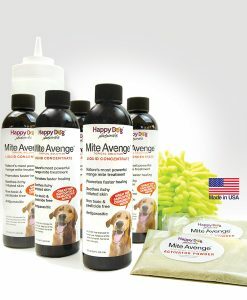 All Happy Dog Naturals products are crafted in small batches form all-natural ingredients right here in the USA. 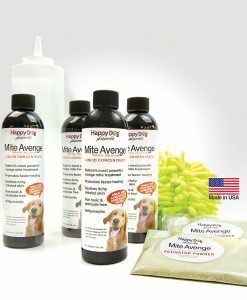 Mite Avenge Multi-Packs carry a 30-day, no questions asked, 100% money-back satisfaction guarantee.